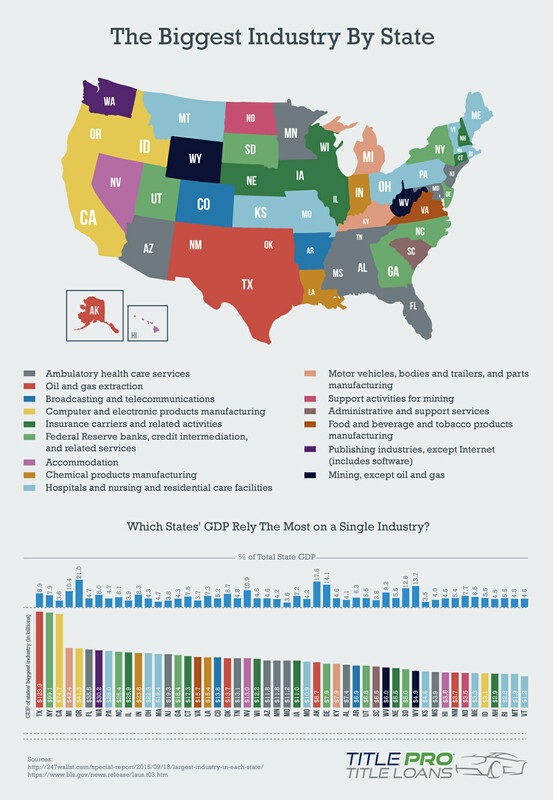 Biggest Industry by State #Infographic ~ Visualistan '+g+"
What is the biggest industry in the United States? It's hard to say. Each state has its own specialties and major businesses that make up a large part of what makes them special. With that in mind, it's likely more appropriate to take a look at this question: "What is the biggest industry in each state?" This is something we can provide for you! "But how is that calculated? ", you might ask. Well, each state has a gross domestic product which is the total number of goods and services produced in each state, whichever industry makes up the largest percentage of that, is the largest and most important industry in that state. This map, from the title loan folks at TitleProLoans.com, reveals the biggest industry in each state, the percentage that industry makes up for that state, and how much revenue that industry generates within that state. 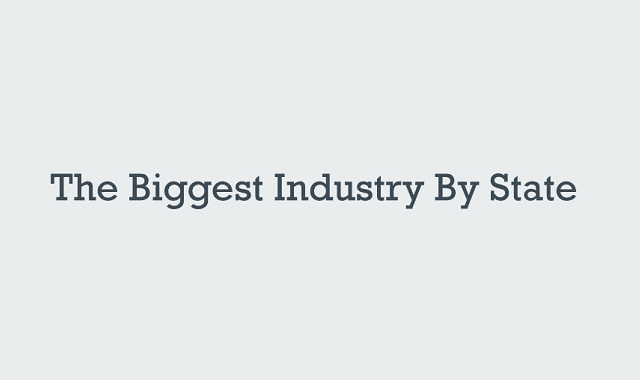 Are you working within the biggest industry in your state?